← Is winter finally here? These two days remain the only dates in Madison’s recorded history with temperatures as cold as minus 30. On those record-setting days a number of characteristic meteorological conditions were in play to drive the temperature to such extremes. A healthy blanket of fresh snow on the ground is one such condition. Snow has two properties that contribute to cooling. First, it insulates the ground, effectively keeping the vast reservoir of infrared (thermal) energy in the ground. Second, snow is very good at emitting infra-red energy, so the top surface of the snow can cool rapidly over the course of a long winter night while energy from the underlying surface is kept from reaching the top of the snow. If the wind is light, the frigid air cooling on top of the snow tends to pool in low-lying areas, such as Truax Field at Dane County Regional Airport. Finally, when the air in the lowest levels of the atmosphere is also very cold that ensures the air is very dry (has little water vapor in it). This lack of water vapor further enhances the cooling that can be accomplished by emission of infrared radiation. With the exception of really light winds, all of these variables will be at historic levels early Wednesday morning. That leads us to think that we will make a run at the all-time lowest temperature in Madison that morning. 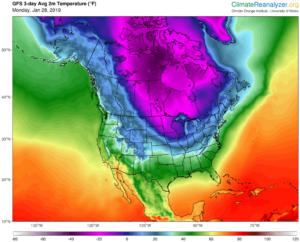 With slightly stronger winds likely to characterize that morning compared to the prior minus 30 mornings in our past, even if the temperature does not approach the record, the combination of cold and wind will bring wind chills down near or past minus 60 — extremely dangerous conditions. 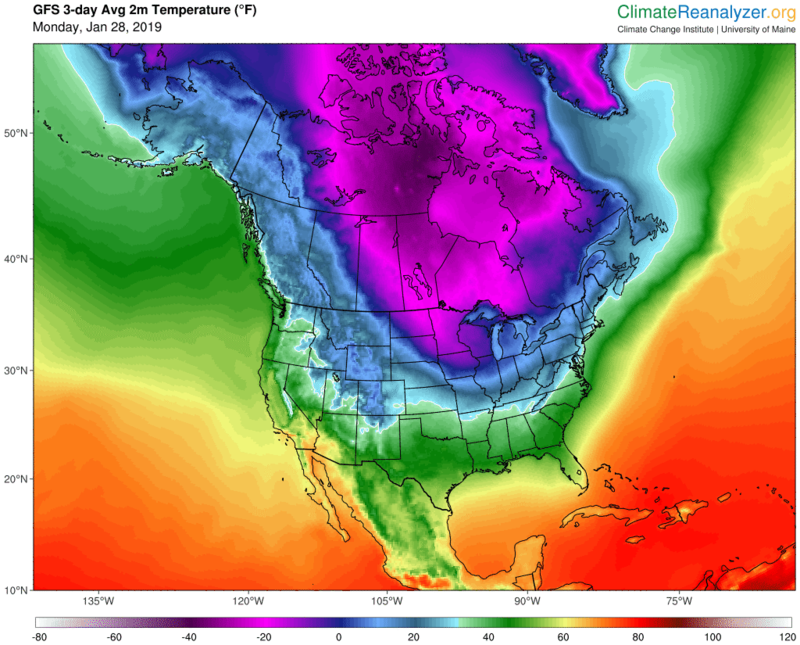 Be very careful venturing outside during this coming week – we will be talking about its cold for years to come.